The next map for 3Ds Max has been complited. This time it is de_dust2. 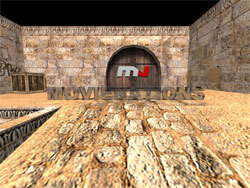 Here is the link on the map in the menu section "Files": de_dust2 for 3D Studio Max. Plz write in comments, what map you would like to see at our site.